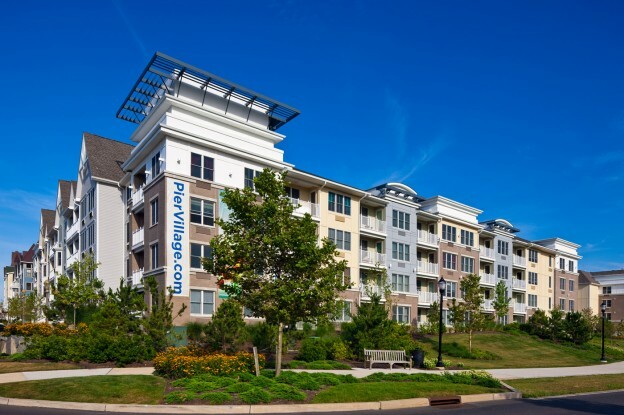 As the second phase of a three -phase oceanfront redevelopment project in Long Branch, Pier Village combines the architectural fabric of Phase one with a modern language that will carry over to future buildings. To take advantage of the shore climate, private balconies are offered at every home. This entry was posted in Low Rise, Multifamily/Residential on October 20, 2014 by swolock.